The CMA CGM Group and Lekki Port LFTZ Enterprise (LPLE) have signed a Memorandum of Agreement to operate Lekki Port’s future container terminal. 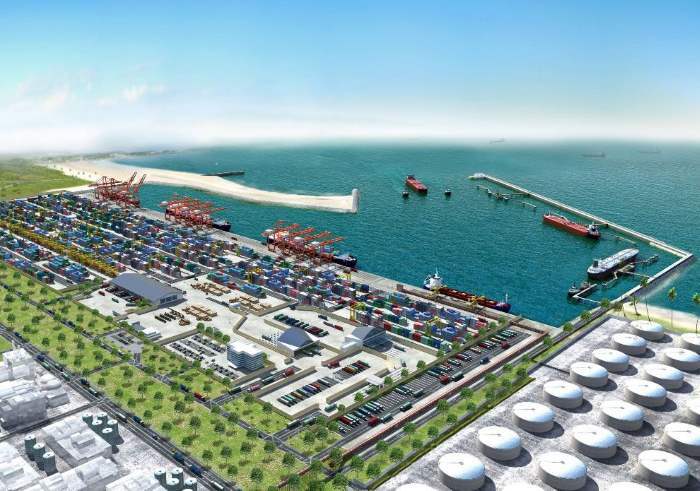 Lekki Port is Nigeria’s first deep sea port and will become sub-Saharan Africa’s deepest port, according to Nigerian officials. 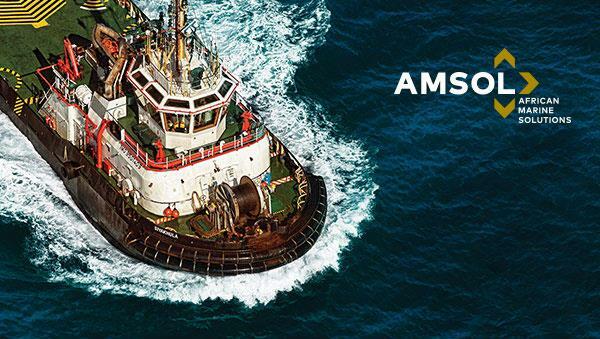 The South African Maritime Safety Authority (SAMSA), has launched an investigation into the collision between a car carrier vessel and an inactive tugboat while the ship was berthing alongside Durban Point Precinct – see yesterday’s Africa PORTS & SHIPS News. 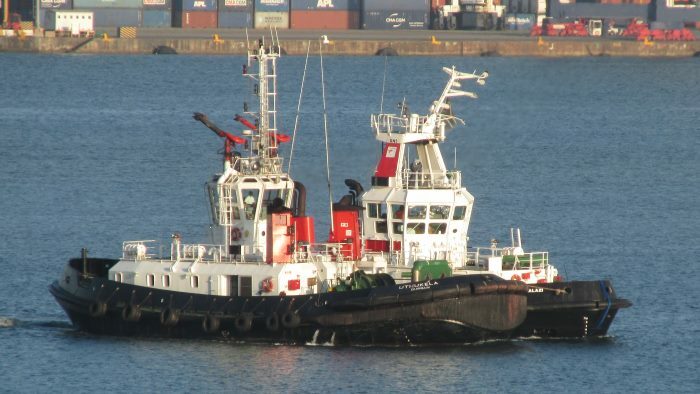 The vessel CSCC ASIA, operated by Hoegh Autoliners, collided with the inactive tug Inyalazi at about 9am on Friday, 13 April 2018 at R shed at the Port of Durban. Captain Saroor Ali, SAMSA Regional Manager (Eastern Region) said the incident was being investigated by SAMSA. 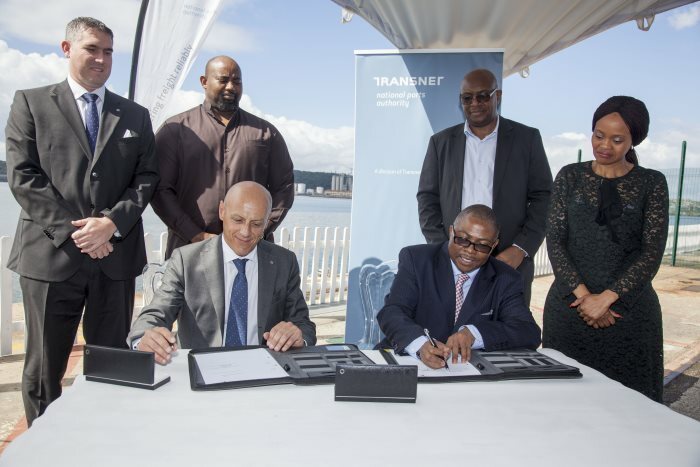 Transnet National Ports Authority has concluded an agreement that will see KwaZulu Cruise Terminal Pty Ltd (KCT) finance, construct, operate, maintain and transfer a new Cruise Terminal Facility in the Port of Durban by October 2020. The parties signed off on this R200 million-plus project at an official ceremony in the Port of Durban on Monday, 16 April 2018. KCT was announced last year as the preferred bidder for the 25-year concession project. 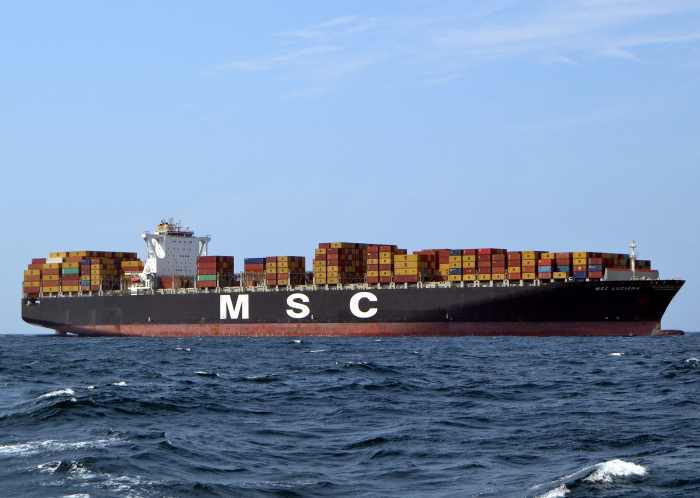 The company is a Joint Venture between MSC Cruises SA and Africa Armada Consortium, an investment company that empowers its black financiers through participation in economic activities, in particular port and logistics developments. The project is expected to dovetail with the City’s latest work to extend the beachfront promenade from uShaka beach southwards to the harbour entrance, as well as the development of Durban Point Waterfront. The detailed design phase will commence in April and is expected to be completed by the end of the year. 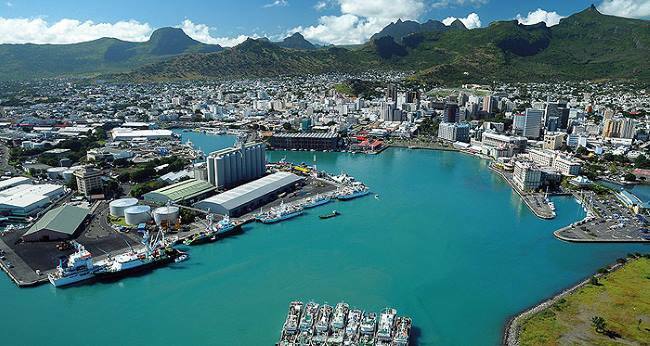 This will be followed by an 18-month construction phase from January 2019 to July 2020 and the cruise terminal is expected to commence operations in October 2020 kicking off the 2020/2021 cruise season. In the event of any unforeseen delays, TNPA and KCT’s contingency planning includes the continued use of the existing N Shed Cruise Terminal. The new green and energy efficient terminal will boast a host of new features and facilities, allowing for simultaneous embarkation and disembarkation of passengers on multiple vessels. Parking will be provided for around 200 vehicles, with kerbside drop-off facilities for 12 buses, dedicated baggage drop-off areas, separate screening and temporary holding areas, as well as separate passenger entry and exit points. There will be a retail component, as well as multi-purpose training, conferencing and events facilities and adequate space allocated for other ancillary services. 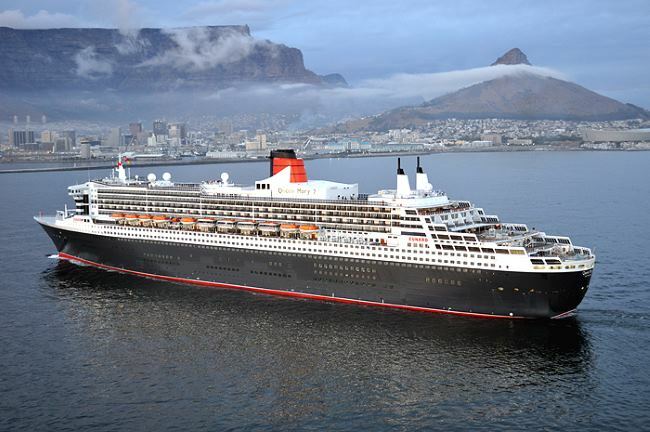 Qalinge said the new terminal will have a positive impact on local tourism as it will attract larger vessels and more leading cruise liners to South Africa. The cruise season period could also be extended during the 25-year operational phase, resulting in economic spinoffs for the tourism industry. Annual cruise vessel calls to Durban and passenger numbers are projected to increase substantially as a result of the new terminal’s construction, helping to further develop the city as an international tourist destination. 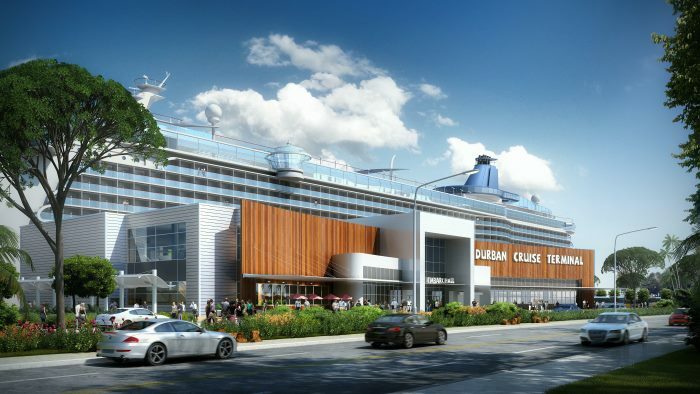 Looking at the cruise industry’s potential growth, with the construction of the new terminal KCT expects cruise calls to Durban to increase from 60 to 150+ calls by 2040, and passenger numbers to grow from 200,000 to more than 700,000 by the same year. During the off-peak season the terminal will remain active as it has been designed to serve as a multipurpose facility including a Cruise and Hospitality Training Academy, office space for Maritime tenants and a fully-fledged events and conference centre. According to KCT, the project will result in up to 10,000 employment opportunities generated through multiplier effect, of which over 100 will be direct jobs during the operation phase, and the future employment of interns in the maritime and cruise tourism sectors. KCT has set aside a budget of R3m for the training and development of more than 100 people during the construction phase. R1.5 million will be allocated to bursaries and scholarships for students in related industries. The project will also foster transformation, with KCT’s Black female ownership envisaged to rise from 12% to 20%, and black ownership from 30% to 45% by the 20th year of the concession period. About 40% of operational and maintenance costs and 31% of the construction value will be spent on black owned Exempted Micro Enterprises (EME) and Qualifying Small Enterprises (QSE). Furthermore, local quantity surveyors, project managers, engineering companies and civil architects have been identified to participate in the construction and roll-out phases. KCT’s equity is currently divided into 70% ownership by MSC Cruises SA and 30% ownership by Africa Armada Consortium. It is classified as an EME and is anticipated to grow into a QSE. Heavy rains that have been falling across the Dar es Salaam region have brought chaos to many parts of the city. 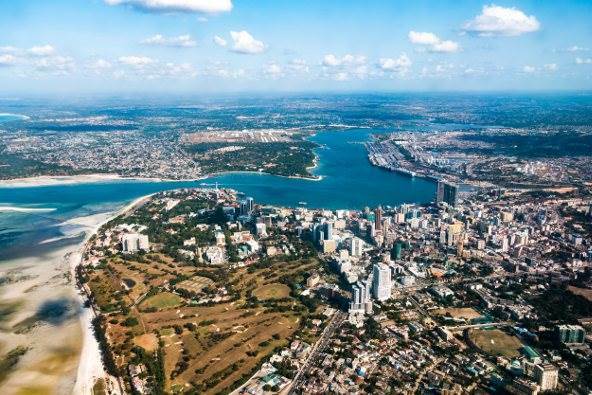 Business activities in the port city of Dar es Salaam are reported to have come to a virtual standstill with some companies having closed and others kept running with a skeleton staffing. One of these companies is Forwardair, a partner of the DB Schenker Network who report that roads have become impassable due to water levels and trees that have fallen down as well traffic jams resulting in very slow movement of vehicles due to the waterlogged streets. Almost all the schools are closed and there is no electrical power in some areas. 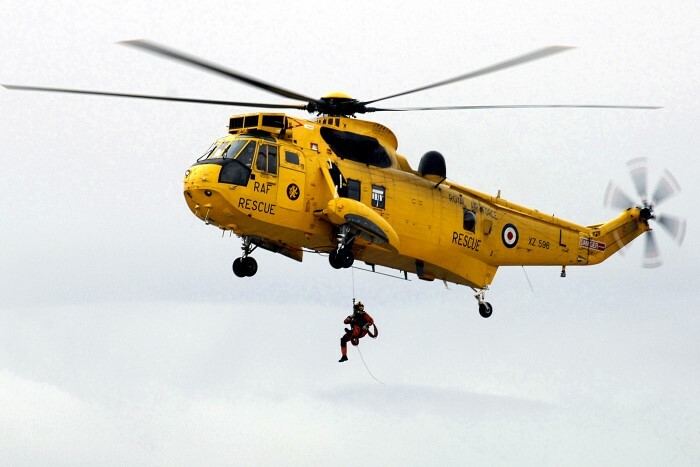 “Some of our colleagues’ families have been affected by flooding,” reports Samrin Shaikh of Forwardair Ltd. The rain has been ongoing since last week. Dar es Salaam’s port and airport have remained open “and so are we,” says Shaikh,”or at least until we see reasons to close down. 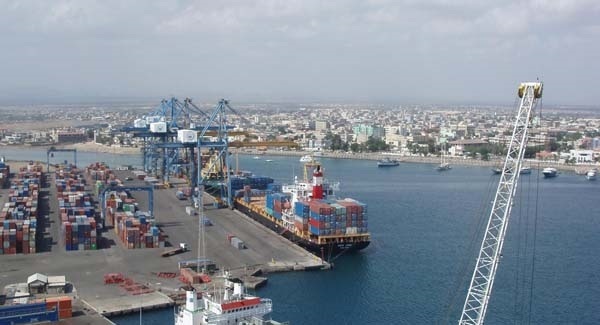 A ship that has been abandoned and at anchor off the Sudanese Port Sudan for the past three years sank on Sunday, Radio Dabanga is reporting. The ship whose name we believe to be SHAHEEN sank in the Salite area of the Red Sea, 10 nautical miles from Port Sudan. The wreck is now a potential hazard to other shipping, it is reported. 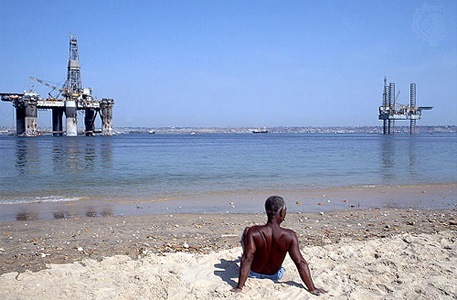 Angola’s oil output fell again in March, reports Macauhub. 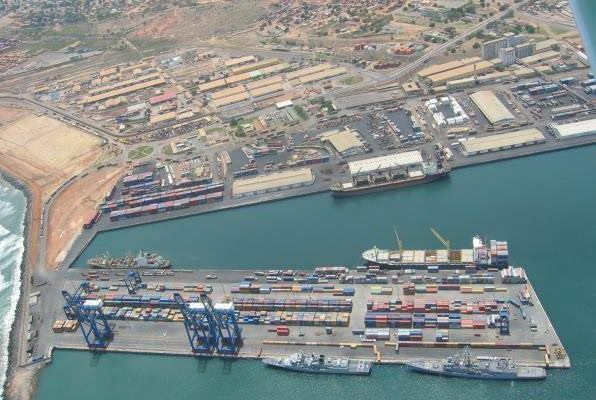 Recent attacks by pirates operating in Ghanaian waters has alarmed Ghana’s authorities who now charge port officials at Tema and Takoradi to tighter their security and to avert any further occurrences of the sort. 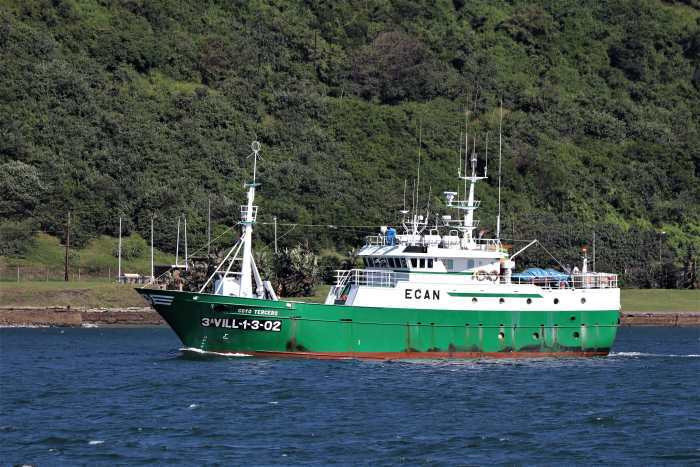 This was highlighted after the attack on a Ghanaian fishing vessel, MARINE 711 which was attacked by armed pirates who the kidnapped five of the crew on board the vessel. 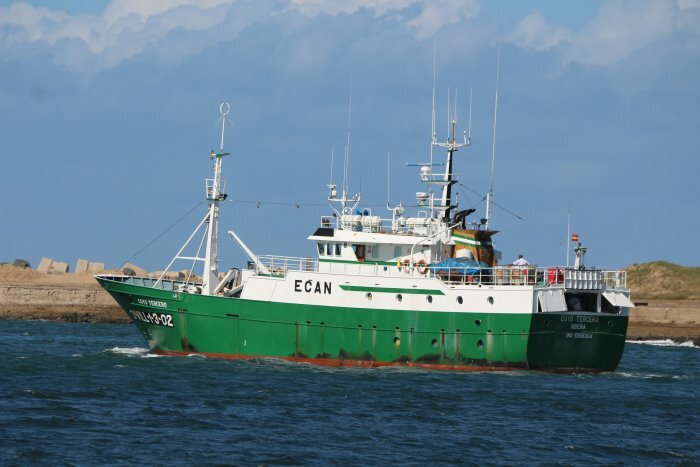 The fishing vessel was based at Tema and operated offshore in Ghanaian waters. 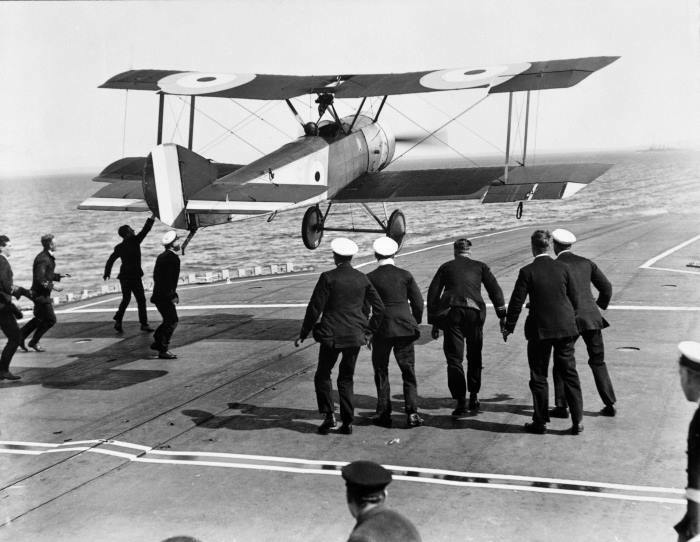 To mark the centenary of the Royal Air Force, the world’s first independent air force*, the (UK) Ministry of Defence (MoD) have brought together a series of impressive photographs, showing the development of the Service, and its people, across the years. Images in the collection, offer an amazing insight into the RAF, showing snapshots of the people and equipment that have enabled successful operations from the air over the last century. 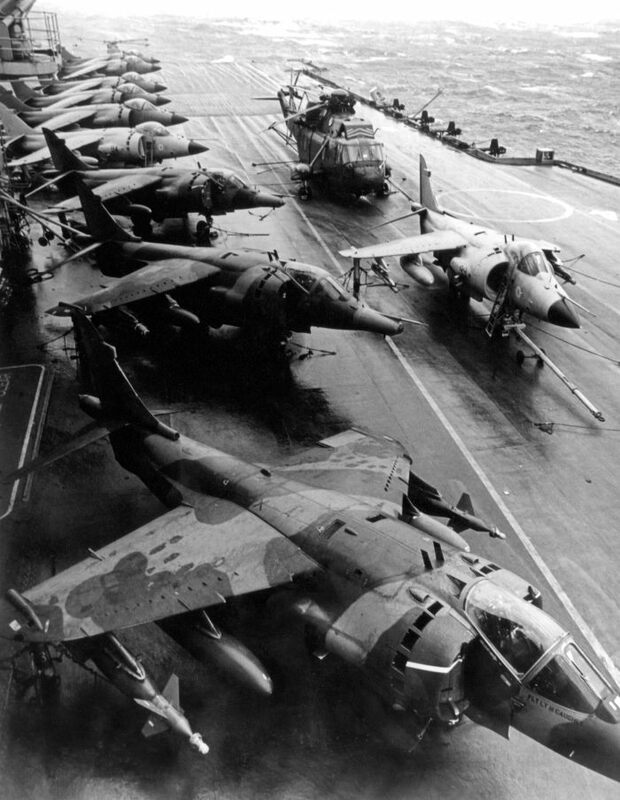 Here we publish with grateful thanks to the MOD media service and the Air Historical Branch a representative selection of the pictures showing the first half century of the RAF together with more modern machines in the naval service . 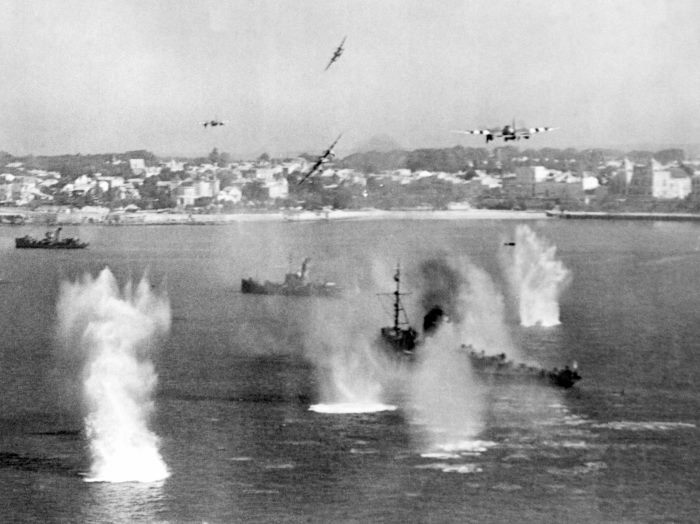 * It could said that the formation had South African origins as Lieutenant-General Jan Christian Smuts, a member of the War Cabinet in London, had supported its creation against opposition from the Admiralty and the War Office. 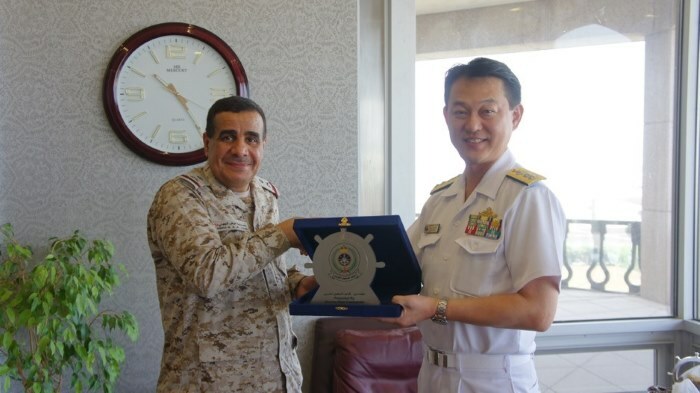 Continuing his busy engagement programme, Commander Combined Task Force 151 (CTF 151), Rear Admiral Daisuke Kajimoto, Japan Maritime Self Defence Force, has returned from a visit to the Kingdom of Saudi Arabia (KSA) where he met key members of the Royal Saudi Naval Force and Armed Forces in order to develop maritime security and counter-piracy coordination. The visit continued to Riyadh where Rear Admiral Kajimoto met with the Chief of General Staff, General Faiyad bin Hamed Al Rowaili and the Commander of the Royal Saudi Naval Forces, Vice Admiral Fahad bin Abdullah Al Ghufaily. Rear Admiral Kajimoto concluded his time in KSA with an informative tour of the Royal Saudi Air Force Air Operations Centre, during which he received a detailed brief on the execution of Gulf Coalition air operations and the coordination between the naval and air forces. It is now six weeks since the Japan-led CTF 151 took the reins from the Royal Bahrain Naval Force. Although conditions for piracy have been favorable, only one, unsuccessful attack has occurred during this period due to continuous presence of CTF ships. Rear Admiral Kajimoto returns to Bahrain to ensure this good work continues. 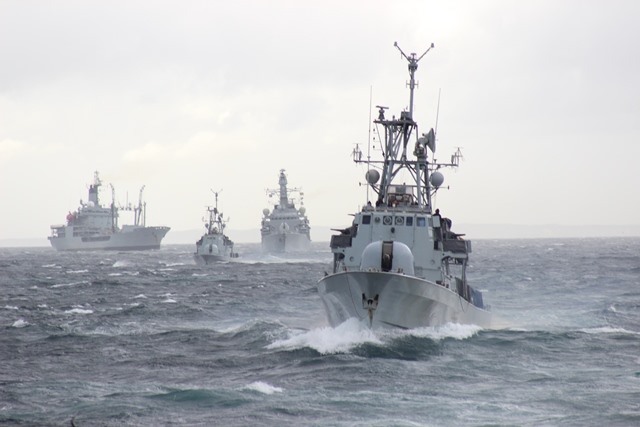 Published by Combined Maritime Forces: CMF is a unique multi-national collective of 32 like-minded nations, dedicated to promoting security and free flow of commerce across 3.2 million square miles of international waters in the Red Sea, Gulf of Aden, Somali Basin, the Indian Ocean and the Gulf. 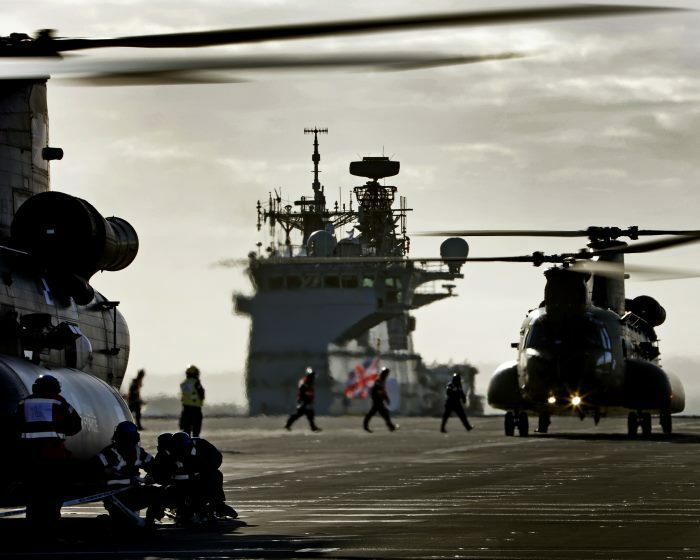 CMF’s main focus areas are disrupting terrorism, preventing piracy, reducing illegal activities, and promoting a safe maritime environment for all.